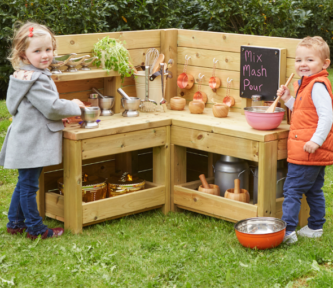 A durable, quality range of versatile, messy play receptacles and utensils. This set of open-ended resources is designed to develop key physical, mathematical and communication skills. Featuring an array of receptacles, children can scoop, pour, mash, sift and stir their creative mixtures. Discuss capacity and volume with the range of assorted cups. Practice pincer grip with the fine spoons, or gross motor movements whilst pouring and sifting with the large bowls and colanders. Inspire creativity whilst providing endless learning opportunities and developing key early skills.